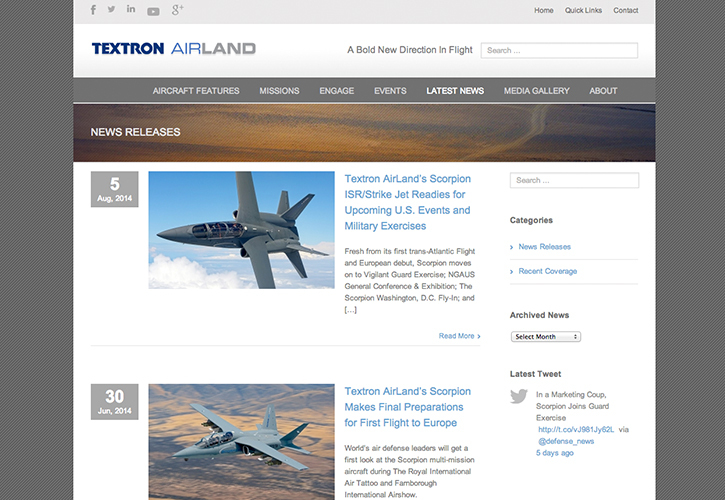 Textron AirLand, LLC, is a joint venture formed between Textron Inc. and AirLand Enterprises, LLC, with the express purpose of rapidly designing and manufacturing the Scorpion, an affordable, multi-mission tactical military jet platform using commercially available technologies and processes. 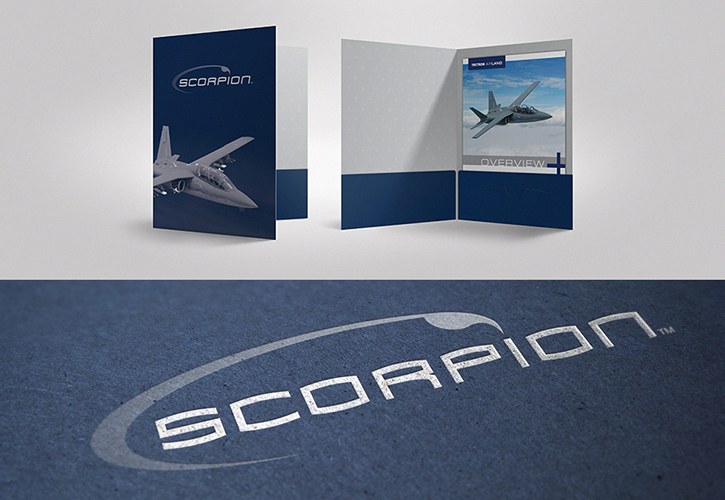 Upon completion of the aircraft development process and under strict non-disclosure parameters, The Cirlot Agency was brought in to establish the strategic communication vision, execute all creative materials for the launch of the Scorpion and to continue the branding efforts well beyond the initial launch. 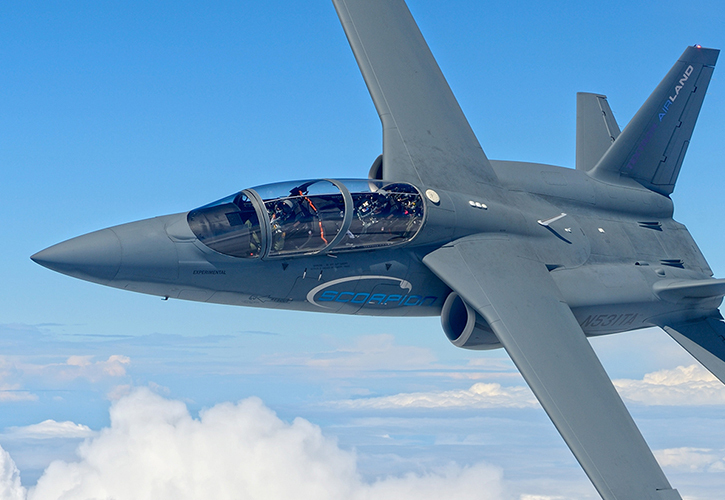 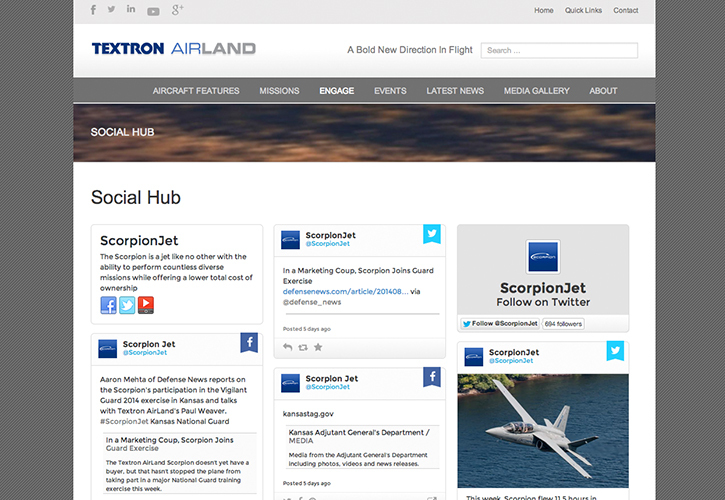 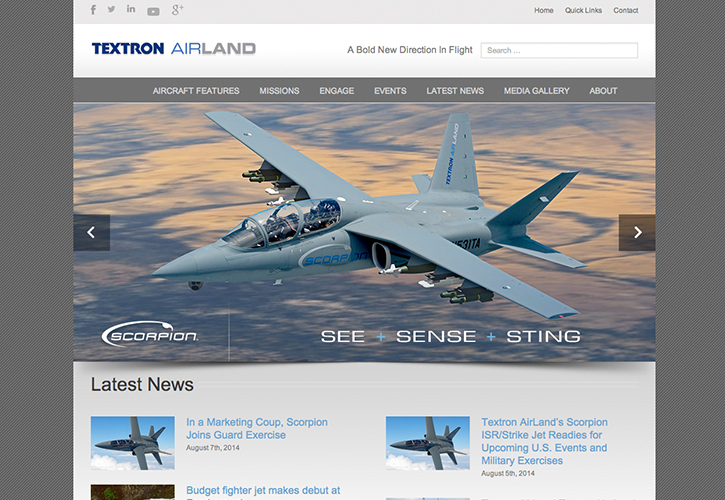 The Cirlot Agency developed the brand identity for both Textron AirLand and the Scorpion tactical aircraft. 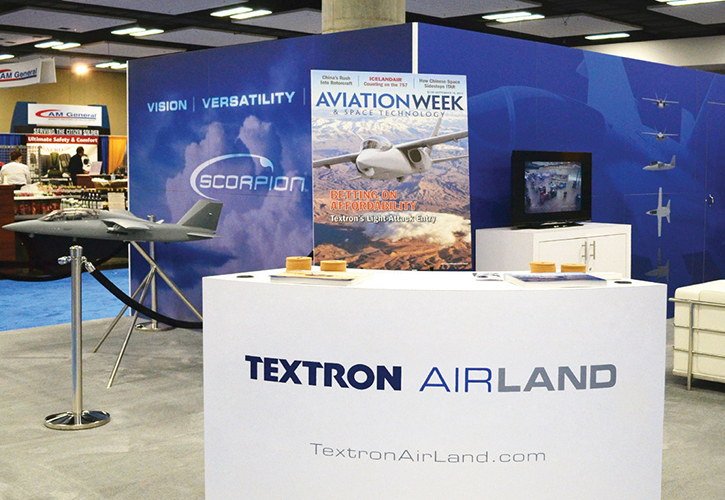 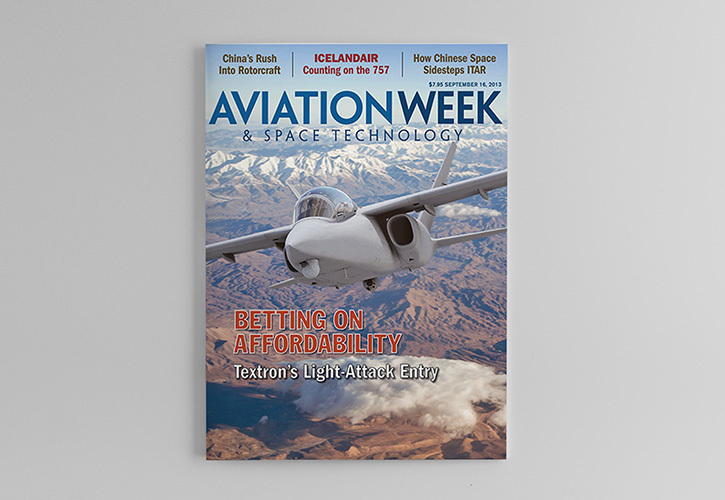 In addition, the Agency created the website, product literature, mission-scenarios, and trade show booth design for the product’s launch at the 2013 Air & Space Conference and Technology Exposition and the 135th NGAUS General Conference and Exhibition. 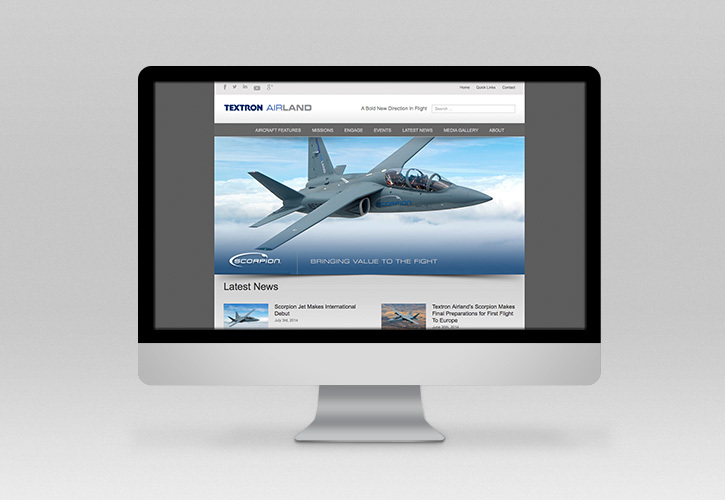 Since the launch, a second phase of branding efforts has been underway to include an expansion and refining of the messaging, website, booth graphics and literature.